Hey everyone! As you may know, October is designated as National Breast Cancer Awareness Month. You should visit your doctor regularly and also, you can do a breast self-exam. I know some of you already know that info but, it's just a reminder :) Go PINK! What do you think of it? I really hope she likes it! Hi Lyndsay! I was at your blog just a couple of minutes ago :) I think we followed each other almost at the same time lol. Looking forward to read your post! Take care. After seeing my sister in law survive breast cancer I know there is a lot to be admired int hose who struggle with it daily. They determination to live and strength is what many should admire. Hi there, I'm your new follower via GFC Hop. I would love to have you follow back at http://realitystrikesmommy.blogspot.de. Hi, welcome!! Thanks for stopping by! These are so cute! Thanks for coming by my blog and following! I have returned the favor! I really like your blog and am your newest follower. I was hoping that you would stop by my blog and follow me back! 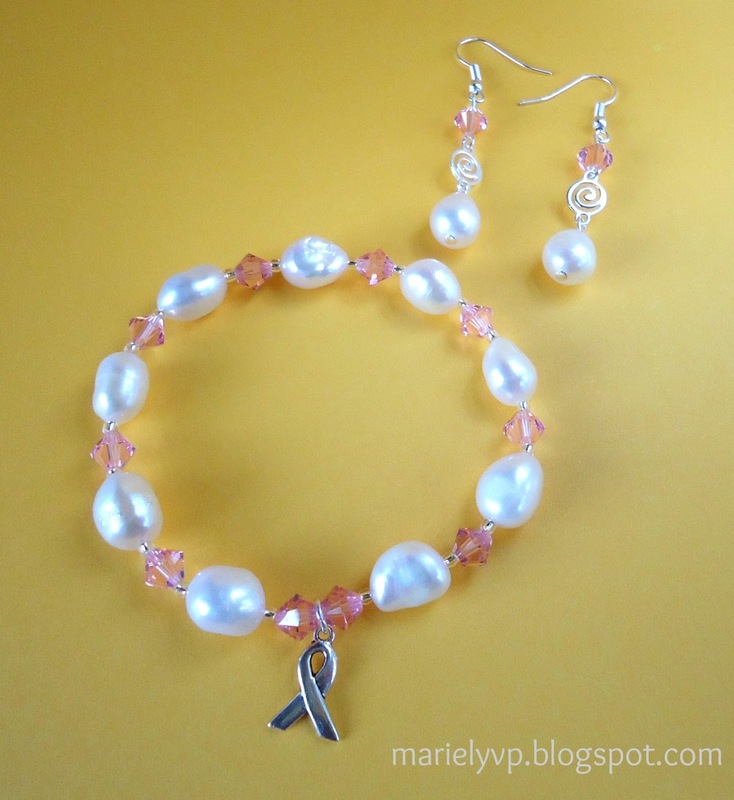 Bracelet & a pair of earrings are wonderful especially the ribbon on the bracelet. I would like to thank you to bring awareness among women about breast cancer. Thank you Susan! As you know, October is not the only Breast Cancer Awareness month; every month is :) We should always share that message.